The Rainbow has a Silver Lining: LGBTQ Aging Issues. Susan Messina is the Deputy Director at Iona Senior Services in Washington, D.C. and, as an out lesbian, has secured funding for and co-facilitated LGBTQ aging-related workshops, and serves as co-chair of the LGBTQ Aging Services Network as well as many other LGBTQ-related outreach programs. 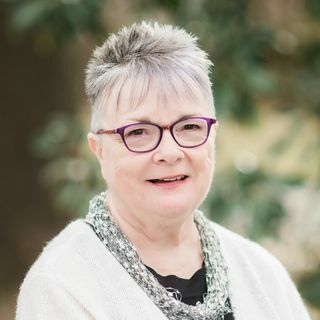 She will discuss the importance of understanding that health and well-being, economic security, and social connections are among the cornerstones for ... See More successful aging, yet these are areas in which many LGBTQ elders face substantial barriers from discrimination, social stigma, and isolation.